Today is the first day of the 2015-16 school year in lots of places throughout North Carolina and editorial pages across the state this past weekend welcomed back the return of teachers and students with some harsh words for the political powers that be. 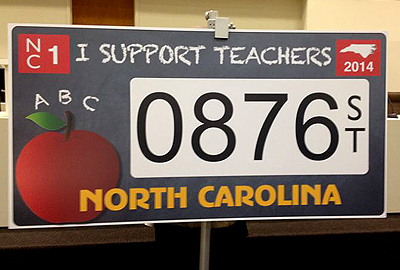 “North Carolina once concentrated on providing the best public education it could. But in the first years of the 21st century, Democratic leaders lagged in funding for education. The Republicans have been harder on it. Some Republicans seem to have made a point of bad-mouthing teachers and the teaching profession. That doesn’t create an atmosphere in which they feel appreciated. And the legislature has taken more concrete steps to diminish the teaching profession by eliminating the teaching fellows program and stipends for advanced degrees. Right now, as the legislature fumbles around with its budget, teacher assistants hang in limbo, not knowing if they’ll have jobs once the dust settles. Teachers had to take the state to court earlier this year just to retain tenure status. And despite some movement toward raising salaries, our teachers continue to be underpaid for the important work they do. 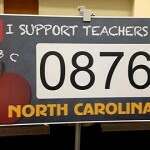 Texas and other states have come to North Carolina to recruit new teachers, knowing they can offer better deals. And many teachers have accepted. Who pays for this backward motion? The students, initially, and then our communities, which wind up with less-educated members and a less-educated workforce that fails to attract the jobs of the future. “The Academic Standards Review Commission has released some of its preliminary reports on how to revise teaching standards for math and English. In addition to its curriculum recommendations, the commission added this: Once the revisions are made, the schools will need money for new teaching materials, including textbooks, and a sufficient number of teachers and teacher assistants to carry out the job. The budget that lawmakers are negotiating doesn’t have that money in it. The Senate, in fact, wants to get rid of at least 8,500 teacher assistants and hire about 3,300 new teachers for lower grades. “Teachers get less respect than the late Rodney Dangerfield these days. Our legislators in their wisdom are pondering taking away their retirement health-care benefits. Because they’re taking their sweet time finishing a state budget, school systems live in suspense over how much, or how little, money they get, or whether teachers’ assistants will still be around…. Free public education remains one of the best ideas in American history It continues to be our best hope for assuring our children of a better life. And for that system to work, we need a cadre — a large cadre — of idealistic individuals willing to forgo fortune and ease to brave the classrooms, maintain order, teach as much as they can in the free time between mandatory tests and inspire whenever possible….